Toyota unveiled its new RAV4 in production form at the Los Angeles motor show. The fourth generation compact SUV gets an edgier new look, is a little larger than before and promises to be a sharper drive than before. The new car will be built in Japan, China and Canada, and unlike the previous generation RAV4, it will only be available with a single wheelbase, doing away with the old shorter option. Styling adopts the sharper look first seen on the 2013 Auris, and adds much-needed visual character. Inside, the RAV4 has been upgraded, too, with higher-quality trimmings, and touchscreens across the range. Most importantly, there's more room inside. Dimensions have grown - it's 4570mm long and 1845mm wide, which makes the RAV4 20mm longer and 30mm wider than the current car - and the 100mm-lengthened wheelbase tells you all you need to know about where the additional interior room comes from. The boot is bigger too - it's now an 547 litres, which matches many similarly-priced estate cars (seats up). Despite this, it's only 10-15kg heavier than before. The RAV4 is available in two- and four- wheel drive form, and all models wcome with a new 'Sport' mode. This driving mode varies torque split and sends anything from 10 to 50 per cent to the rear wheels to change dynamic behaviour in cornering. And like most sport options, it also tightens steering and throttle response. But like the new Subaru Forester, the all-wheel drive RAV4 is still capable off-road as well as being able to handle very poor road conditions, thanks to its 50/50-split locking differential (up to 24mph). The engine range includes two diesels - a 127g/km 122bhp 2.0-litre with stop-start and a six-speed manual gearbox, and a 148bhp 2.2-litre offered in automatic and manual form. There's also a more sporting petrol - a 149bhp 2.0-litre with CVT transmission. 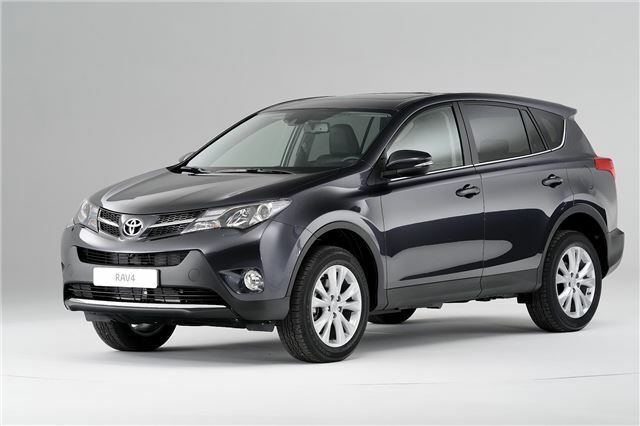 The RAV4 goes on sale in December with deliveries commencing in March 2013. Prices have yet to be confirmed. Didn't the old model have a SHORTER wheelbase 3-door version? Where is the long wheel base old model mentioned in the article?